Newcastle United will be looking to register their first Premier League win in over a month this weekend when Neil Warnock's Cardiff City travel to Tyneside in the hopes of pushing even further clear of the relegation places. Just one place and one point separate both teams ahead of kick-off, with Rafa Benitez's Magpies currently sitting just inside the drop zone. It's almost certain that one of these two sides will finish the weekend inside the relegation zone as well, unless Southampton get beaten by the unlikely scoreline of at least 8-0 when Everton visit the south coast on Saturday. Here is 90min's preview for Saturday's relegation six-pointer at St. James' Park. The hosts will be without Ki Sung-yueng as he's still away on international duty with South Korea, who just secured a 2-0 win over China to finish at the top of their group at the Asian Cup. Jamaal Lascelles, Ciaran Clark and Isaac Hayden, meanwhile, all picked up knocks during Newcastle's win over Blackburn Rovers in the FA Cup on Wednesday and all three could be doubts this weekend. There are no fresh injury concerns for Cardiff City, although Kenneth Zahore could make his return this weekend after missing out on a place against Huddersfield Town due to a thigh injury. Newcastle United Dúbravka, Yedlin, Clark, Fernández, Lejeune, Manquillo, Murphy, Longstaff, Hayden, Atsu, Rondón. Cardiff City Etheridge, Ecuele Manga, Morrison, Bamba, Cunningham, Arter, Ralls, Mendez-Laing, Camarasa, Hoilett, Paterson. Cardiff City haven't won a single league match against Newcastle United throughout their history, although the Bluebirds did taste victory during a FA Cup match during the 2013/14 season thanks to a winning goal from substitute Fraizer Campbell. 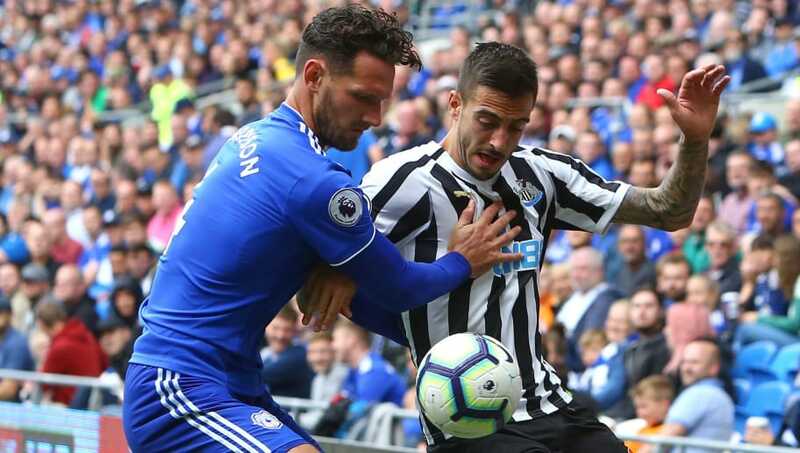 Although they haven't won a game against Newcastle in either the Premier League or Championship, Cardiff's draw against the Magpies earlier this season was the first time they ever claimed a point against them. Neil Warnock's side last scored at St. James' Park in 2016, although Newcastle haven't kept a clean sheet at home since the start of November. Both teams are coming into this game with just one win in their last five games across all competitions, although Cardiff's slight improvement in the Premier League has seen them move ahead of Newcastle during the Christmas period. Saturday's hosts have been leaking goals in recent weeks, although only Wolves have conceded less out of the teams in the bottom half of the table, while Cardiff City have scored just one goal since Christmas day. Despite Newcastle's recent form, they should be confident of clawing their way out of the bottom three this weekend. However, there is extra pressure because they will likely be left empty-handed in their next two games against Manchester City and Tottenham. Cardiff, meanwhile, still have five of the so-called 'top six' to play before the end of the season and will need as many points on the board as possible, but man for man the Bluebirds shouldn't be able to match this weekend's hosts.